We build and maintain the IT infrastructure that keeps Niagara in business. From high volume tourist attractions to non-profits serving the community, Niagara has come to trust JMR Logics for thorough network support and business-savvy technical consulting. For over 25 years we've been the advisor who can tie together software, hardware, your network, and the web to exceed your business goals. Ask about our track record. Contact John Riley today at 905 374 2878. We build long-term customer relationships and develop an intimate understanding of our clients' operational goals, vendor relationships and technical challenges. Clients tend to stick with us for decades. Are we the right fit for you? Get in touch with John Riley today at 905 374 2878. We get to know our clients and our clients know us. When you work with JMR you'll be introduced to a tight, enthusiastic team who collaborate on a deep understanding of your business. There's no junior tier here. Get to know us. Call John Riley today at 905 374 2878. We’re your off-site IT department. Our clients trust us to monitor and maintain their critical business technology, from back-office computer networks to front-of-house Point of Sale systems. We're not a computer store. We help source and implement the right technical solution for your needs. We communicate your goals to your software vendors and their technicians to ensure solutions deploy correctly. We empower your staff to use your IT assets safely and securely, and we're just a phone call away when help is needed. We like healthy servers, preventative-maintenance and solid off-site backups. We're often called upon to tackle challenges like PCI compliance, guest Wi-Fi access, and server virtualization. Our clients trust us to take a long-term view. Ensure you're getting the most from your investments in technology. We increase operational efficiencies thorough intelligent IT strategies and reliable advice on emerging trends. Work with us. Call John Riley today at 905 374 2878. 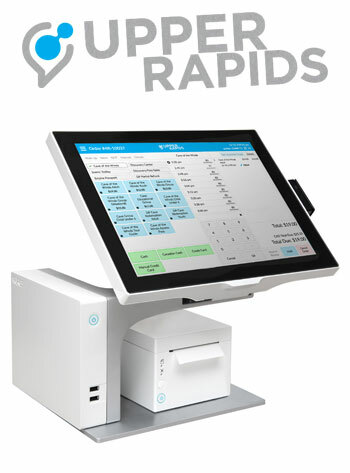 After over 25 years supporting Point Of Sale software in some of the most complex, high volume environments around, JMR is proud to unveil the Upper Rapids Point of Sale. Upper Rapids marries the best in emerging web technologies with our deep operational understanding of attraction ticketing. Upper Rapids is a high availability system, able to work offline in environments with spotty network connectivity and fully manageable from the web. The Upper Rapids Point of Sale solution was designed for high volume ticketing, minimizing the time individual customers and bus groups spend at the point of purchase. We carefully guide front end staff through the purchase process, reducing training and management costs while ensuring nothing holds up the lines. To learn more call John Riley at 905 374 2878.